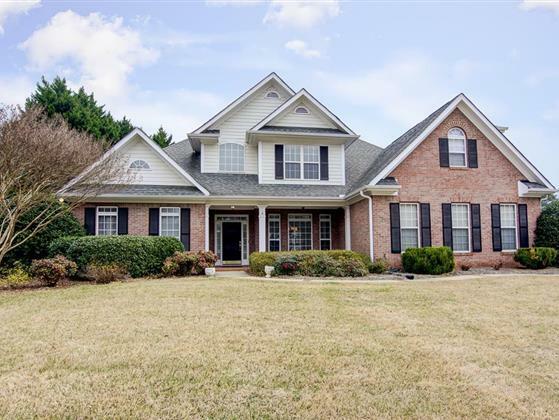 Immaculate 4-Sided Brick Home in Golf Community! Master Suite on Main Level with Separate Walk-In Closets--Formal Living and Dining Rooms--Great Room with Built-ins and Fireplace with Gas Logs--Kitchen with Pantry, Breakfast Area, Breakfast Bar, Wall Oven with Warming Drawer, Built-In Microwave and Stove Top--Keeping Room--Huge Laundry Room with Cabinets and Sink--Upstairs Boasts Loft, 3 Bedrooms and 2 Full Baths--Covered Front, Back and Side Porches--2 Car Garage with Workshop--Close to Interstate, Hospitals, and Schools! !